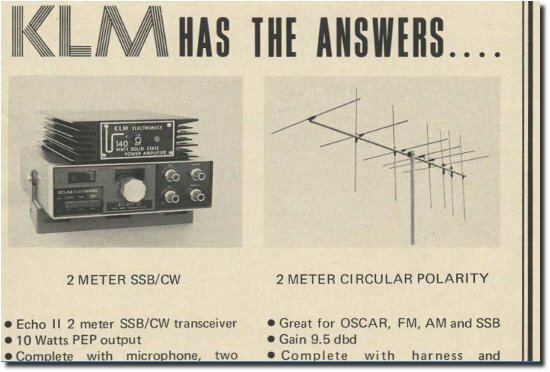 In a quest to find out how old the FDK 2700 radio’s are, with little other resource than my head, hearing that the American Ham Radio magazine 73’s archive was now online covering 1960’s, 1970’s, 1980’s etc era’s, I trawled through them focusing on the adverts with a hopeful eye on a possible review. 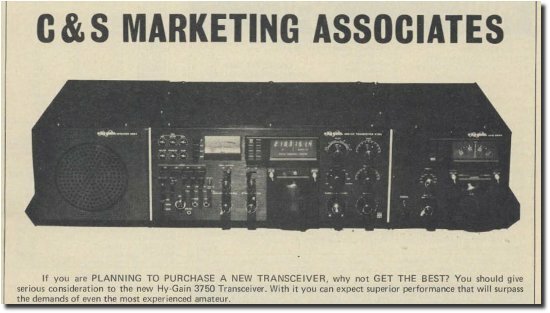 First advert I came across was this general Linear Amplifier an Antenna advert. 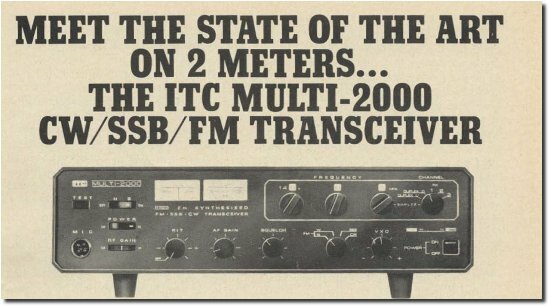 It wasn’t just radio’s they made then…. 1976 shows this HyGain HF. Can’t help but notice the similarities in design to the FDK 2700 Multi. An extension speaker is on the left, but otherwise we have a manual VFO on the right hand side. 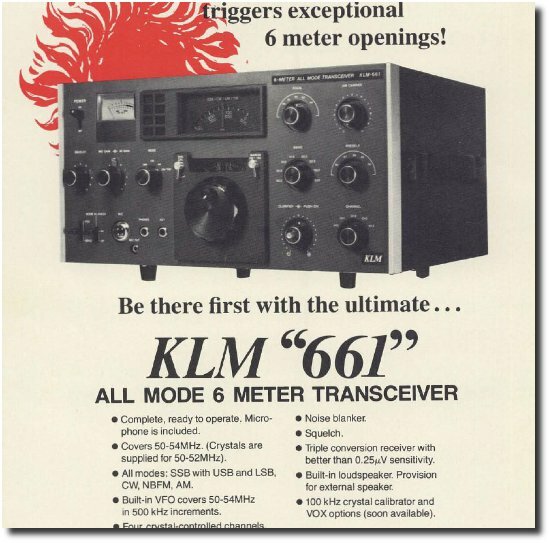 KLM used three full page adverts in this issue promoting this rig together with their Antenna’s and Linear Amplifiers. Space Shuttle Enterprise, the Space Shuttle was still in development. June 16 – The Oracle Corporation is incorporated in Redwood Shores. December 1 The Lockheed’s top-secret stealth aircraft project, designated Have Blue, precursor to the U.S. F-117A Nighthawk, makes its first flight. I Have one FDK-Multi-2700 bad. (Power supply dead!) Put me on the owner list, thanks. Owned one new back in day, about 5 years ago found one at reasonable price. Clean box but needs TLC. 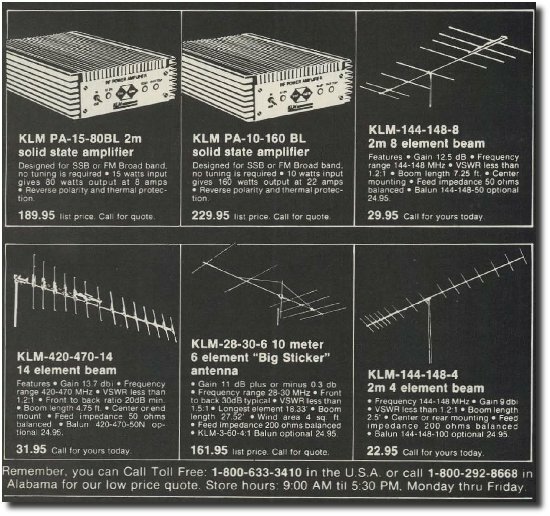 Always thought it was the coolest box around for the time. Almost as funky as the Brimstone all mode of the era. Thanks for the service manual I needed it badly!!! 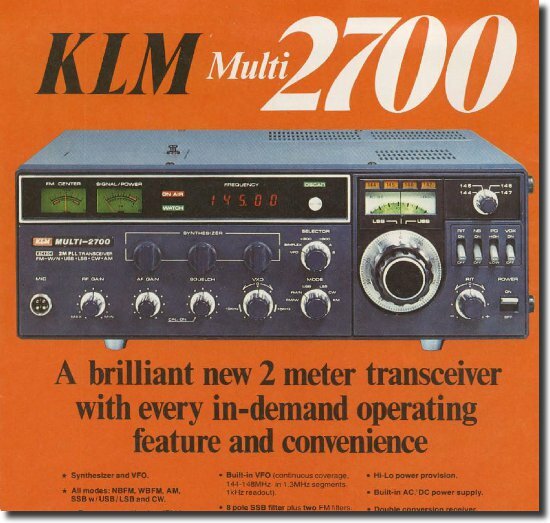 I am also the owner of a GOOD old multi-2700 but not from KLM but from FDK and I use this old one regularly together with a lineair 200 P.E.P. and I am still satisfied about the performance. I have just got hold of one of these old classics, the origional FDK badged one, looking forward to restoring it and putting it back into regular service. I have tried to download the service manual but the link now seems to be broken :(, any one out there have it and a schematic. Karl. M0KRL. South Yorkshire. I guess you’d better put me on the list, as well. I have an FDK-branded one, ser. #93120, with the FDM-10 hand mic. It has issues, though, so thank you for the documentation, I can send along the schematic & manuals to have a technician troubleshoot it. To use it right now, I have to use the VOX switch to enable/disable transmit. I can get quite a distance on USB with 1W, so I think it’s performing well that way, at least.